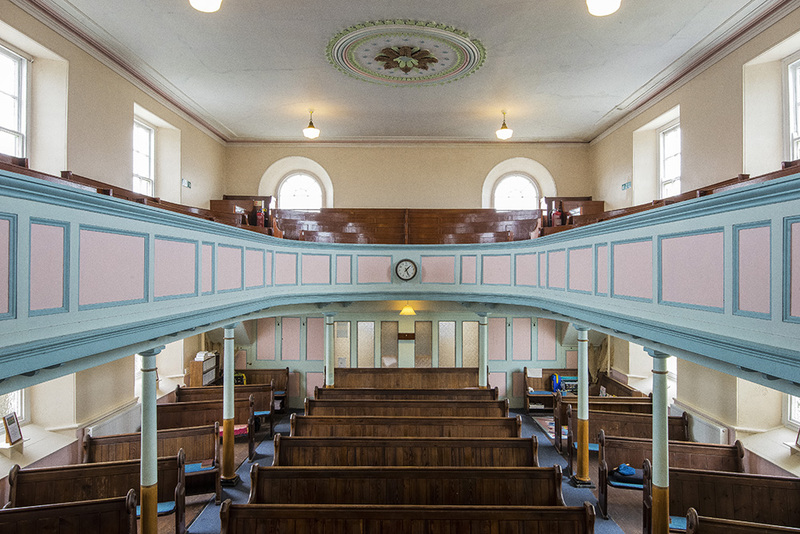 The present chapel was built by the Wesleyan Methodist Church in 1864, to replace an earlier one on Cross Common. It is the most southerly chapel on the British mainland. It seats 250 people, about half the population in 1864, and was built of local stone quarried and transported free by local farmers. 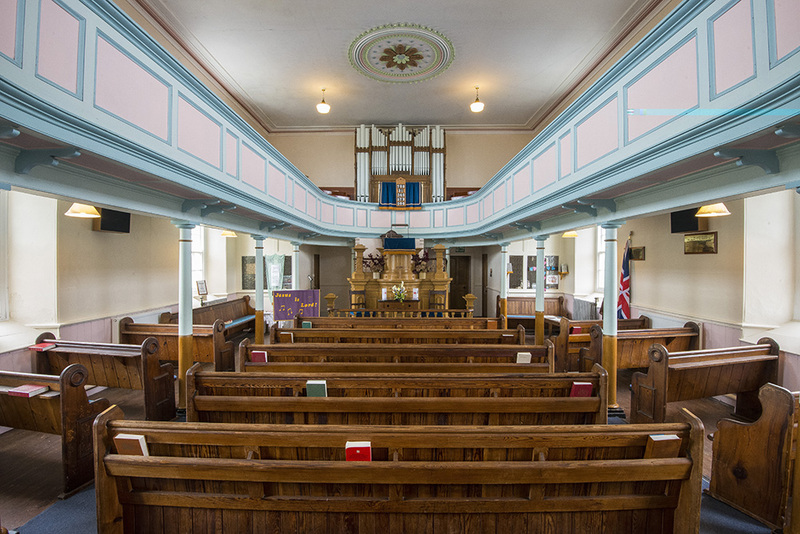 The interior features a large Gallery containing the original pews. 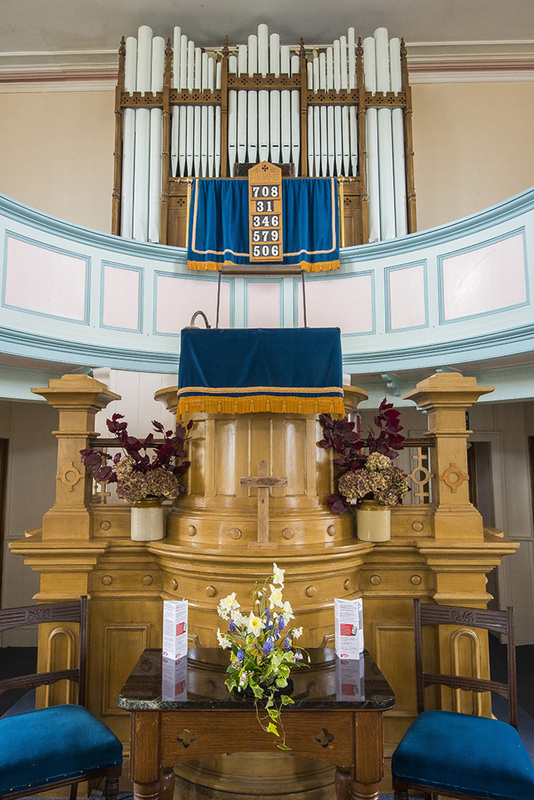 The Pulpit is located at the centre of the chapel to emphasise the importance of preaching from the Bible. 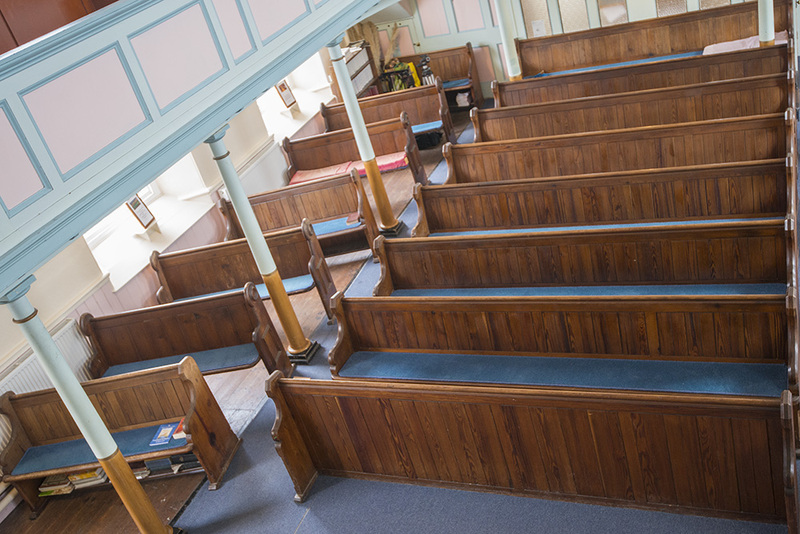 A large Sunday School Room with space for 60 children was added in 1880. 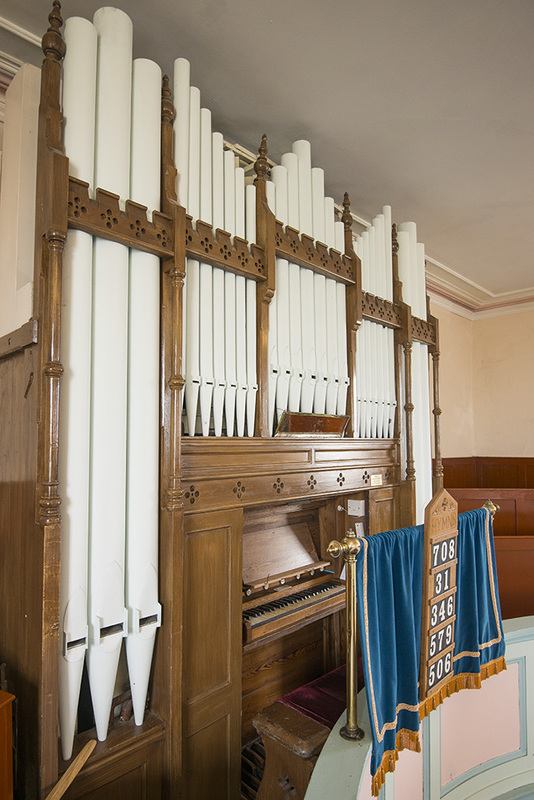 The Pipe Organ was installed in 1895. Prior to that we can imagine a pedal harmonium providing the music and vainly trying to be heard above the congregation. Further changes occurred in the 20th Century. Petrol vapour lights were installed in 1912, being replaced by Electric lights in the 1930s when the mains supply reached the village. 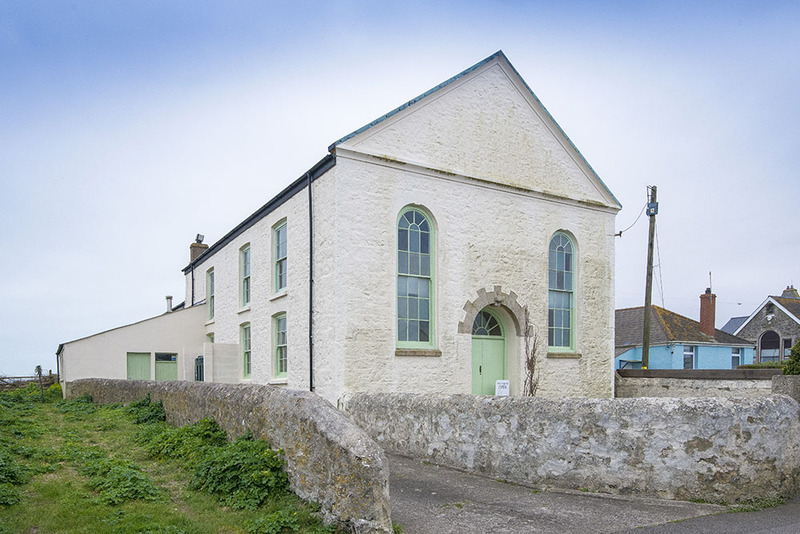 In 1935 a decision was taken by the United Methodist Free Church on the village green, known as “The Little Ship”, to close and combine forces with the Wesleyan Chapel, which became the meeting place for The Lizard Methodist Church. The Short Pews with rounded tops are understood to have come from the “Little Ship”. In the early 1940s members of the American 29th Infantry Brigade were stationed in the village. All the Long Central Pews were reserved for them and these pews were often full. The soldiers eventually left for Trebah Beach where they embarked for the D-day landings at Omaha Beach in France. The roof of the Sunday School was badly damaged by Storm in 1979, and in the period up to 1984 following the roof repair, major redecoration work was undertaken throughout the chapel. Into the 21st Century, the development of modern transport and communications has led to considerable changes. Sunday is no longer the dominant day in the life of the Chapel and there has been a growth in midweek activities. Leisure is now an important part of the local economy, with many visitors to the area.